Here’s a quick and easy craft. We hung ours around the room for a fireworks display! Cut 6-8 pipcleaners in half. 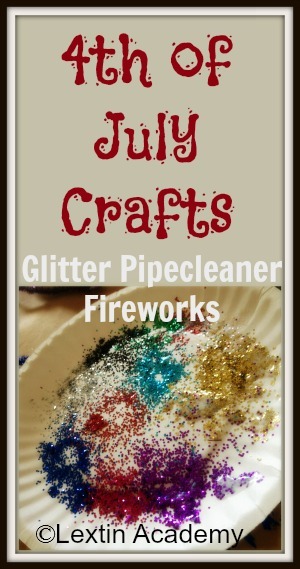 Dip the ends into glue and roll in colored glitter. Bundle the stems, using one of the stems to tie them together. Then separate the pipecleaners.